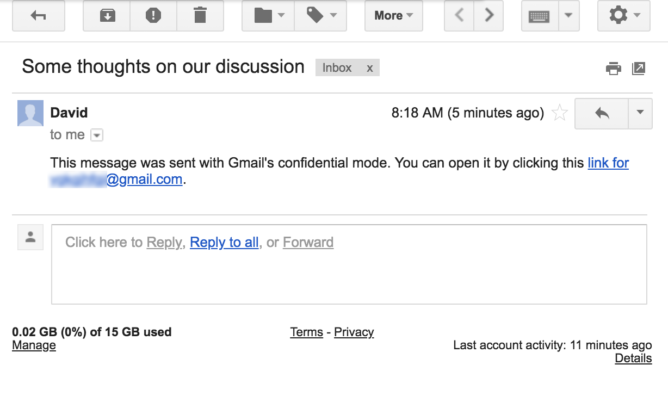 Confidential mode lock in the bottom right above, close-up below. Image via TechCrunch. 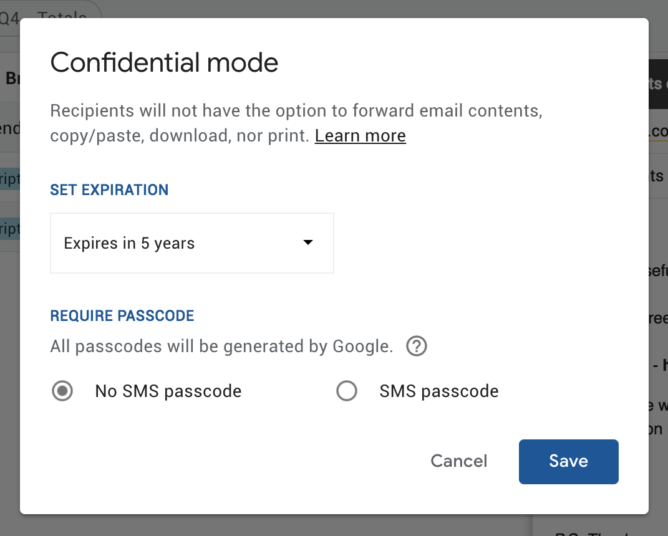 An expiration date can also be set so that the email "self-destructs" at a configurable time. 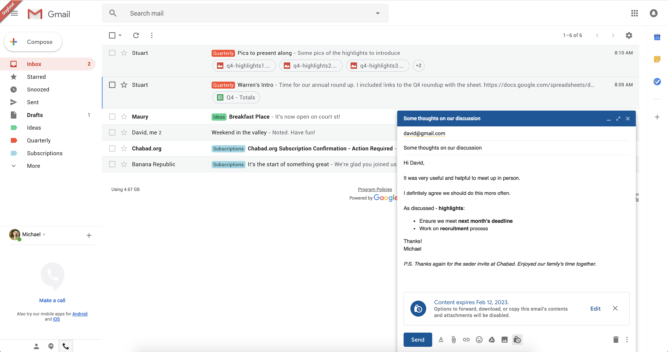 Based on tests performed by TechCrunch's tipster, the feature is also backward compatible with the existing Gmail design. Those that receive a confidentially configured message have to follow a link to access it and sign in to their account again. 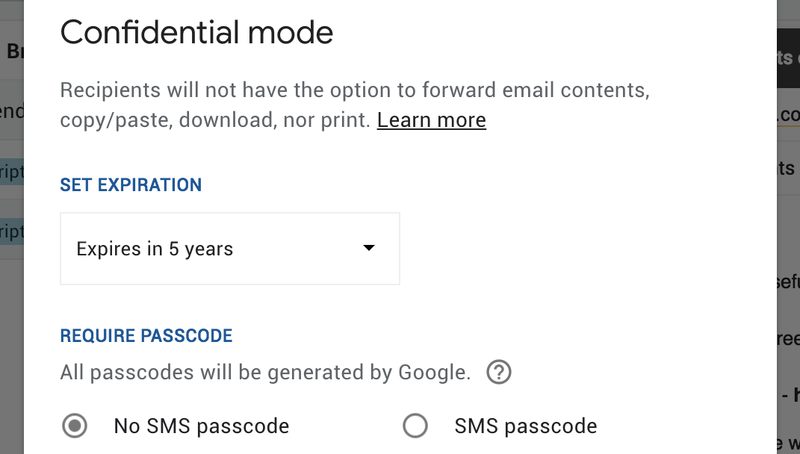 There's also an option for a two-factor ID with messages requiring a key separately sent via SMS to open. Confidential emails as they appear in the inbox of the recipient above, the text of the email itself after following the link and signing in again below. Image via TechCrunch. 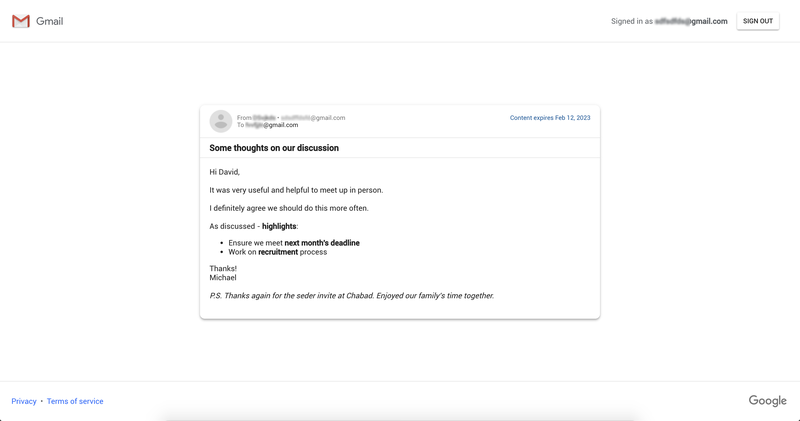 It's too early to be certain—since we can't actually play with the new feature ourselves, we can't be sure—but it seems like these confidential emails are just messages that require a link to access, with the ability for that link to expire at a set time. There's no word on when the new feature may roll out, but it could be part of the upcoming redesign. 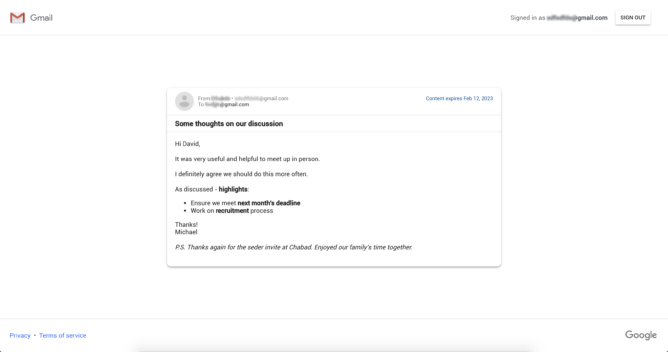 For more details on these confidential messages and how they might work, check out TechCrunch's original coverage on the subject.